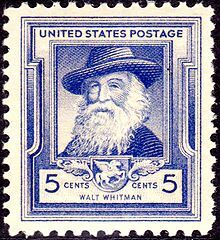 Tomorrow, May 31, is the birthdate of Brooklyn’s hallowed poet & journalist Walt Whitman. He was born in 1819 in Long Island, but his family moved to Brooklyn when he was 4, and he spent much of his professional life in the Borough. In 1846, Whitman became editor of the Brooklyn Eagle, and contributed freelance fiction & poetry. He was fired in 1848, because his political views clashed with the newspaper’s owner’s. Whitman’s major work, Leaves of Grass, was first published in 1855. He used his own money to print 795 copies. The widely distributed work was described as obscene for its overt sexuality. Grass was revised several more times until his death in 1892. 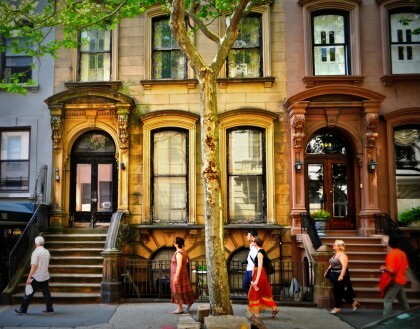 The collection was hardly a cash cow, and Whitman returned to journalism in 1857, as editor of Brooklyn’s Daily Times. He oversaw the paper’s contents, contributed book reviews & wrote editorials.